Manufacturer & Exporters of ASTM A335 Alloy P92 Seamless Pipe & A213 T92 Welded Tubes, Alloy Steel P92 ERW Pipes, Alloy T92 EFW Tubes Supplier in India. We Manufacturer & exports ASTM A335 P92 Pipes and ASTM A213 T92 Tubes having excellent quality to fully satisfy customer’s requirements. We can offer a comprehensive range of ASTM A335/ASME SA335 P92 High Pressure Steel Pipe for the right technical solution. 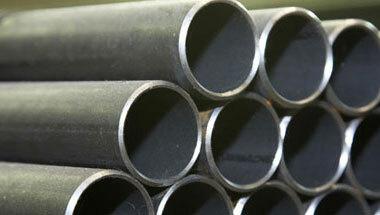 Neon Alloy manufactures & export wide selections of ASTM A335/ASME SA335 P92 High Pressure Steel Pipe. The range of ASTM A335 P92 seamless alloy steel pipe sizes that may be examined by each method shall be subjected to the limitations in the scope of the respective practice. ASTM A213 T92 is the part of ASTM A213 Standard Specification for Seamless Ferritic and Austenitic Alloy-Steel Boiler, Superheate Heat-Exchanger Tubes. ASTM A213 T92 Standard covers seamless ferritic and austenitic steel boiler, Superheater, and heat-exchanger tube. ASTM A335 P92 High Pressure Pipe & Tube Exporter, Alloy Steel A213 T92 Seamless Tubes Supplier, Alloy P92 Fabricated Pipe, ASME SA335 P92 SAW/LSAW Pipe Manufacturer in India. Chine, Kazakhstan, Ghana, Sudan, Nigeria, South Africa, Saudi Arabia, Australia, Italy, Canada, Jordan, Iraq, Israel, Mexico, Trinidad and Tobago, Morocco, Angola, Malaysia, Dubai, Germany, Kuwait, Thailand (Bangkok), Venezuela, Democratic Republic of the Congo, Azerbaijan, Algeria, Brazil, Africa, Sri Lanka, Turkey, Vietnam, Indonesia, UK, Houston, Uganda, Mozambique, Colombia, UAE, New Zealand, Egypt, Cameroon, Ethiopa, London, Bahrain, Tunisia, United States, Iran, Russia, Peru, Argentina. Khartoum, Dammam, Cape Town, Giza, Jerusalem, Cairo, Ouagadougou, Singapore, Kolwezi, Lubumbashi, Algiers, Douala, Dar es Salaam, Hong Kong, Lagos, Brazzaville, Kinshasa, Bethlehem, Omdurman, Antananarivo, Maiduguri, Amman, Conakry, Beirut, Mbuji-Mayi, Kampala, Muscat, Pretoria, Bamako, Tripoli, Colombo, Benin, Accra, Rabat, Lusaka, Subra al-Haymah, Aqaba, Luanda, Jeddah, Kaduna, Dakar, Manama, Sharm el-Sheikh, Doha, Bulawayo, Harare, Addis Ababa, Yaoundé, Maputo, Abu Dhabi, Tehran, Istanbul, Byblos, Johannesburg, Port Harcourt, New York, Tel Aviv, Freetown, Port Elizabeth, Data from the UN, Dubai, Mogadishu, Zaria, Fez, Nairobi, Soweto, Abidjan, Riyadh, Kano, Ibadan, Durban, Alexandria, Mecca, Cairo, Casablanca.